Original Post: I’m going to make this short and sweet so you can get your tickets ASAP. 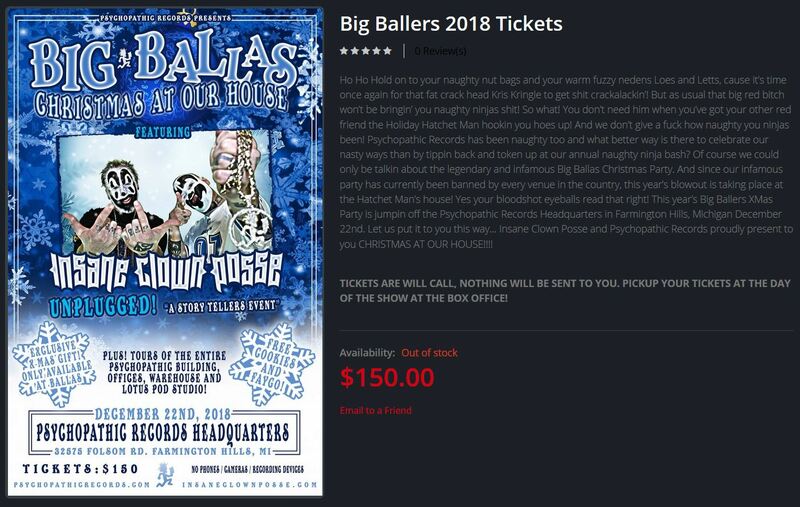 The super limited Big Ballas Christmas At Our House tickets are officially on sale! They are $150 each, and do NOT have any shipping charges associated with them. 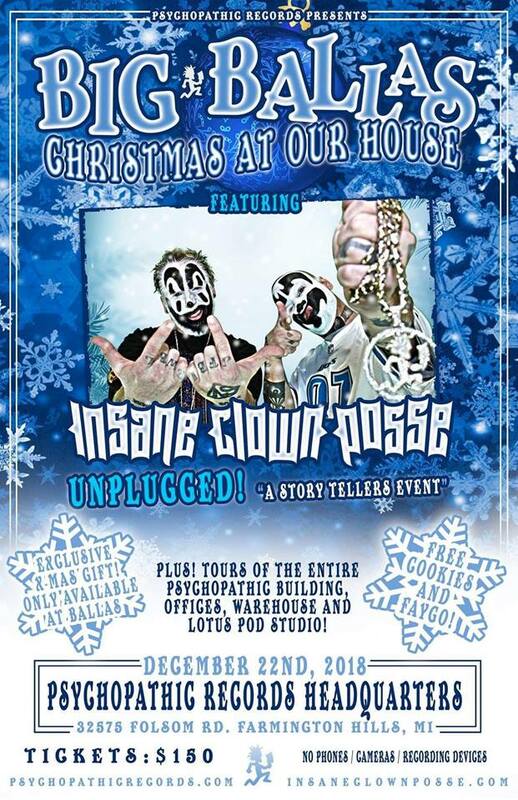 Tickets are Will Call, and you will pick them up and/or show proof of purchase at Psychopathic HQ. I already got mine! See you ninjas in Detroit next month! Update [11/9/18 @ 6:59 PM CST]: AAAAAAND They’re Gone. This could be a situation where credit cards get declined and all that, so if more tickets do go up for sale, we’ll make sure to let you know! Gone like snickers jack o lanterns! what’s the numbers? How many tickets? how big is the tent? How many heaters? how many tickets sold? it’s like a barbeque! Family and friends! Friends that pay $150!